Many sheep producers may now be accustomed to their EID equipment, which may have been bought simply to meet new requirements. However, thoughts may be turning to how this technology can really make a difference to flock performance in terms of productivity and profitability. Although many pieces of kit carry out similar tasks, we look at the product details to see what the market has to offer when it comes to EID equipment. 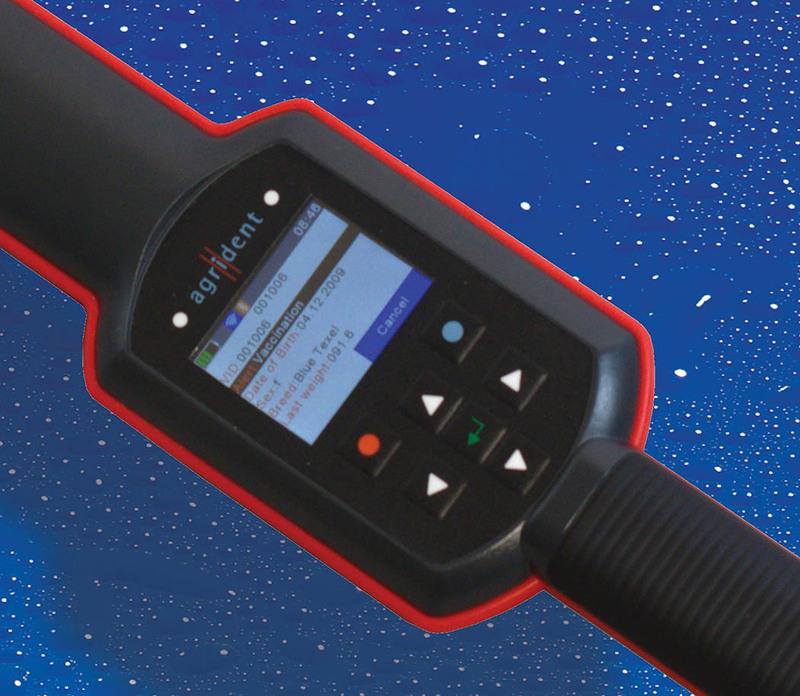 The Allflex RS420 EID reader connects to Android and Apple devices using its in-built management system. The two-button system allows for the reader to vibrate on read and has an on-board memory capable of holding 100,000 records. It comes with a carry case and software and is priced at £619.97 plus VAT. Details on 01450 364 120. Allowing data to be captured, edited, saved and analysed in one piece of equipment, the HR5 Handheld EID Tag Reader from Gallagher records immediately without needing to be set up first. The reader includes a full texting style keypad for data entry, with entries viewed on a 710mm (2.8in) colour display screen with hi-resolution large graphics. It can be paired with other devices via Bluetooth and can be plugged into a computer. It can read tags, collect data, sort animals, view history, record visual IDs, link mothers to offspring and add and edit session names. Animal Performance Software comes included, as well as a free animal data transfer app, available free from Google Play. The reader retailers at £1,354 plus VAT. 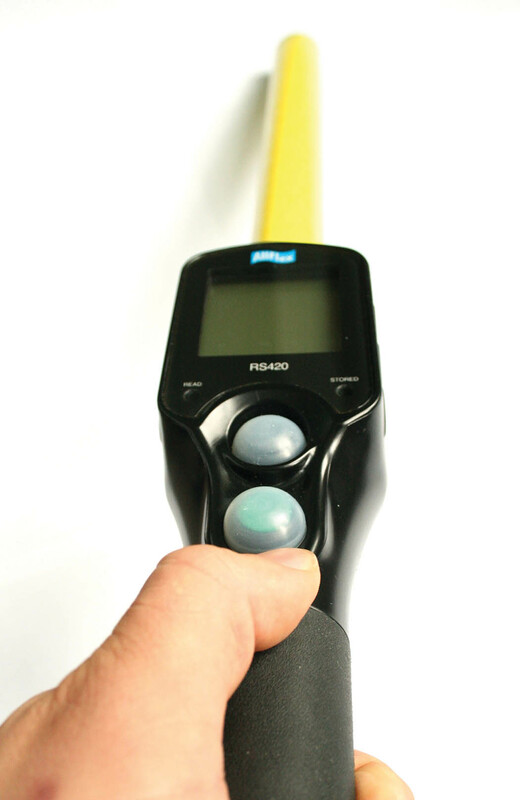 The Agrident AWR300 stick reader has 12 hours of permanent read mode, an exchangeable battery, large colour display and an integrated database. The stick can be used to link lambs to parents, record weights and medicine treatment and look up an animal’s history to facilitate informed decisions. It features a flash memory of 4GB, with memory for up to 1 million animals. It retails at £649 plus VAT. 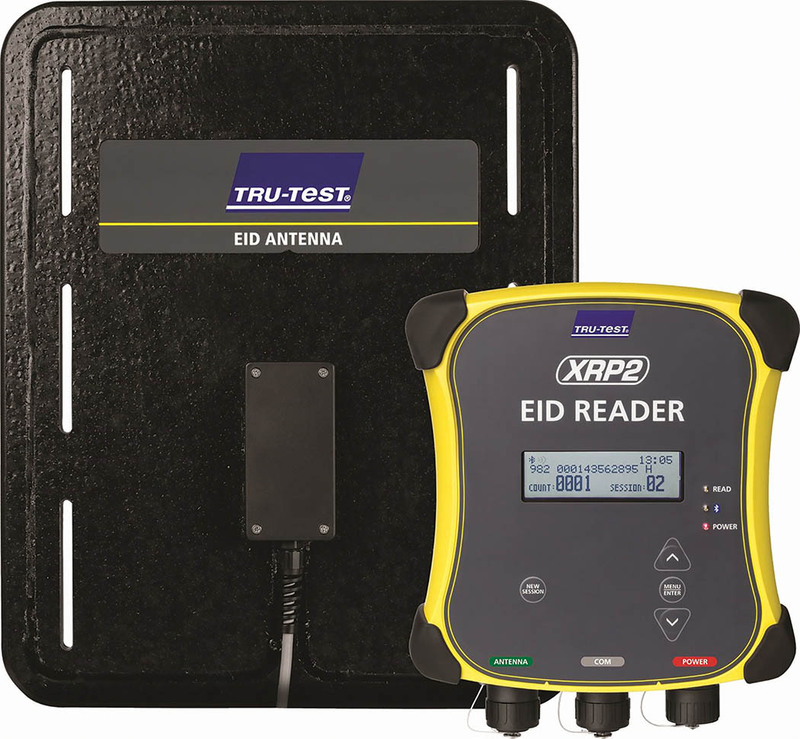 Designed to carry superior read technology, TruTest’s EID panel reader system is said to give a consistent tag read every time. The panel reader has the option to act as a standalone tag recording device and animal counter or send tag numbers to a Tru-Test indicator, to which it can wirelessly connect to, or alternatively to a smartphone using Bluetooth. Information can be downloaded to a computer for analysis. For use in sheep, the small antenna is advised, which has a read range of up to 700mm (28in). The panel reader system retails at £1,328 plus VAT. Claiming to be lightweight and versatile, as it is made of aluminium, the FastWeigh sheep crate comes with a built-in load cell. It is open-ended with no gates and designed for a fast flow of sheep. It is said to be easily transported and fits most race designs. It retails at £1,290. Being able to work 500 sheep per hour, the Sheep Auto Drafter from Gallagher is a fully automated weighing and drafting system, which claims to be smoother, quieter and easier to set up and operate than other sheep drafting products. It includes the weigh crate, integrated load cells, integrated control module with remote control and three-way draft module. The control panels include emergency stop, auto/manual status and a fault lamp. The standard set-up retails at £13,200 plus VAT. Shearwell’s Stock Reader and Farmworks by SDL allows animals to be drafted by weight, management group, gender, health problems and breed, to name a few. Drafts are set up on FarmWorks and downloaded onto the Stock Recorder, which communicates with a reader, the weigh head and drafting controller to open and close relevant gates. 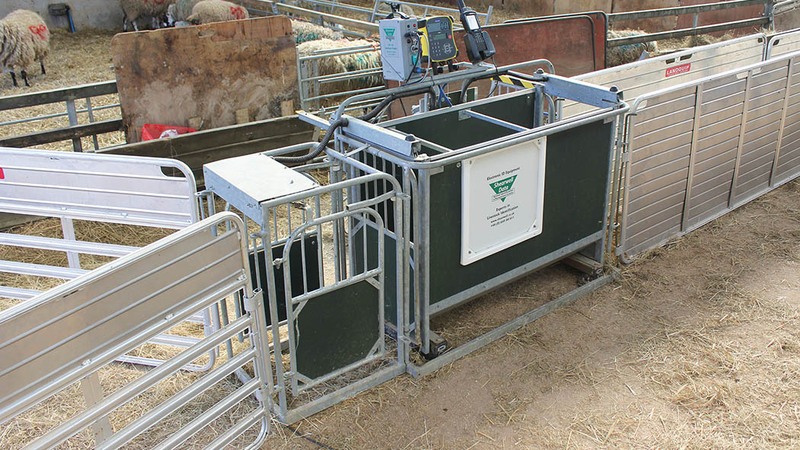 Sheep can be drafted by weight by setting up parameters on the Stock Reader. Running off a compressor, it can also be powered by mains electricity or a generator, and the gate can run in either direction. It retails at £7,995.